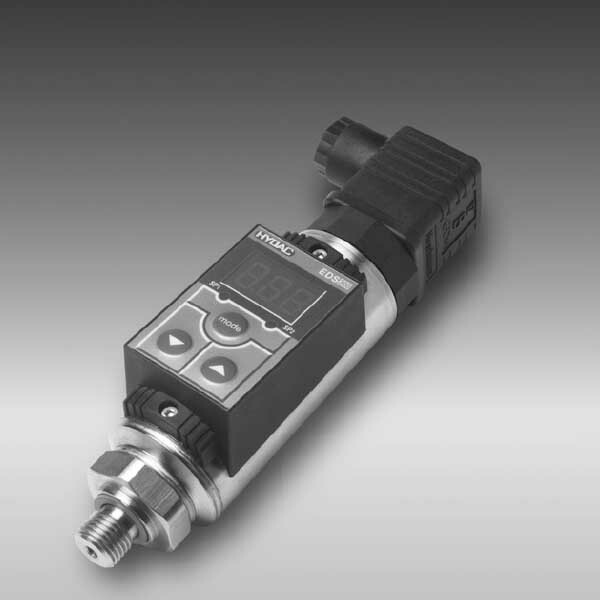 The EDS 300 is a compact, electronic pressure switch with an integral digital display. Both models can also have an additional analogue output signal 4 .. 20 mA. What’s more, the adjustment of the switching points and the associated hystereses is possible using the keypad. For optimum adaptation to a particular application, the instrument has many additional adjustment parameters. E.g. switching delay times, N/O / N/C function of the outputs. Moreover, the main applications of the EDS 300 are to indicate pressures and limits. It also applies in hydraulics and pneumatics, and anywhere where high switching frequency or constant switching accuracy would overburden a mechanical pressure switch. To conclude, the unit is ideal for building accumulator charging circuits or pump and compressor controls.